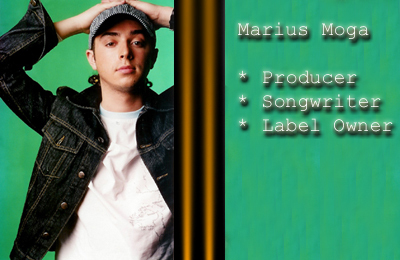 Sign up for Broadjam today to follow Marius Moga, and be notified when they upload new stuff or update their news! He is 22, comes from Alba Iulia, Romania, and all of a sudden he became the most appreciated Romanian composer. The succes with the LP “In culori” of the band “Akcent" released in november 2000 made Marius Moga the most demanded composer. He sold more then 2,000,000 copies in 4 years with his music. His compositions became hits and for the moment Marius Moga owns 70% of the romanian music market. Moga is a “hit maker”;his compositions are easy to love, interesting and fresh! He has music in his blood!